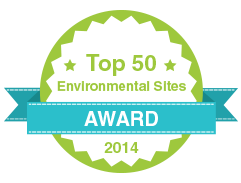 Awarded to the best environmental sites, blogs, businesses and more. Whether you need to fix your house, garden or vehicle, The Family Handyman will be of great help. They provide a wide range of do-it-yourself instructions with useful images and complete information. They have the solution for anything in your house that you need to fix. In addition, they publish The Family Handyman magazine, which is the oldest publication for DIYers. Lifehacker is a jack of all trades, so to say. The website offers tips from all aspects of living, from technology to productivity to projects around your household. Lifehacker has dedicated a page to write about 10 DiY projects which make use of sunpower. Here, you can find out how to engrave wood with a “sun laser” or light your garden using the sun and a jar. Instructables is a site dedicated to “everything” and a cool concept at the same time. Very easy to navigate, you can quickly search for a project or sign up into one of their groups, workshops or schools. The guides are created by users, while readers can rate them and comment. A simple search for green energy returned a page showing how to solar power your lawn mower, step by step with good quality pictures. Wikihow is the world’s largest multi language “how to” guide. Its 175,000 free how-to guides even includes how to start a bonsai tree or make bacon jam. When it comes to energy savings around the home, you can learn how to build your own solar collector, landscape with solar lighting or use solar energy to heat your pool. Learn how to reuse, repurpose or recycle things that are most likely to end up in your trash bin. Pistachio shells, christmas decoration, old jeans, car bumpers, board games are a few examples of waste materials turned into new products on RecycleThis. The website is run by a couple of enthusiasts living in West Yorkshire, UK and covers more than 14,000 ideas on ways to recycle. Check this blog and read Greg Seaman’s inspiring story. After living for a while on a small rural island with no electricity and services, he decided to share his new perspective of life under the goal: “to encourage, inspire and inform people about the benefits of a simpler, less material lifestyle, and the importance of protecting our natural environment as the source of our well-being.” Check eartheasy to find very useful and complete information about sustainable living. Here you will find instructions for almost anything that you could possibly do yourself. Although they cover a lot more areas than energy saving solutions, they cover this one pretty well! Check DIY Network for heating and cooling projects, or solar panel installations. If you browse a bit you will also find Q&A for your questions about doing yourself whatever basically. Ben Jandrell is a renewable energy enthusiast and he will walk you through the design and making of small energy saving projects. His website took off from a hobby sharing project to developing renewable energy solutions sold worldwide. DiY projects: solar truck, solar radio, wind turbines, solar electric bike, to name a few. Since its launch in 2008 GreenTerraFirma has been helping people save money and reduce their impact on the planet by sharing easy DiY solutions (for solar panels, solar thermal systems, small scale wind turbines, garden tips and more). Practice some of GreenTerraFirma’s tips and you will realize that you can live perfectly well with less resources and commercial products. Build It Solar is a site that provides free ideas, plans and information to help you build renewable energy and conservation projects. They have collected hundreds of different projects, from changing a lightbulb to building your own solar home, so you can’t get bored! If you are interested in renewable energy, and are a curious person, this is a not-to-miss site. For more than 10 years, TreeHugger has been striving for sustainability by gathering up-to-date news, solutions and product information in a modern and user friendly blog. Find what you are looking for in one of their 9 sections: design, technology, transportation, science, business, living, energy, slideshows and social. Are you a conscious consumer? Then this is your spot. Check this blog for sustainable product reviews, green energy news and information. The hope of this blog is that some day all products and services will be created in a socially responsible, sustainable and eco friendly way. If you are into design and home decoration, you will never get bored with this blog. The Panda! Here you will find authoritative articles on anything related with climate change. The blog supports WWF’s climate and energy vision, aiming at lowering carbon emissions and tackling climate change with the collaboration of the private and public sectors. WWF, “For a future where people and nature thrive”. The top blog for getting green product reviews. Since 2007 these guys have been trying, testing and reviewing thousands of green products, from soaps, to mugs and multivitamins. They have more than 1,000 visitors every month and this might be because they are not afraid to be honest. Not all reviews are to be proud of! If you want to know what the experts are saying and commenting regarding energy issues, this is one blog you should definitely follow. With more than 20 bloggers dedicated to writing about energy, they for sure bring to the table a lot of interesting, up to date content. Follow the Wall Street Journal experts on energy! This blog has succeeded in bringing news and information about emerging green technologies. It shows the latest advancements in renewable energy and serves as a platform to share knowldge about green innovations and discoveries. Get the latest from journalists and insiders who are deeply engaged with energy issues and with the world’s climate challenges. This blog puts an eye on the future of fuel and power and provides interesting articles from authoritative sources. The tone is formal and quite scientific. In this blog, Jeniffer from Northern Carolina will surprise you with her realistic opinion about the idea of being green. You will not only find her view regarding the environmental issues hitting the planet but also, occasionally, some DIY tutorials (for ex: DIT: Sew Your Own Cloth Pantilinens), recipes and book reviews. If you agree that years bring experience, then you will understand why we listed Earth911 here. For more than 20 years they have been providing consumers and businesses millions of ways to recycle more than 350 different materials. So, if you are interested in recycling this one is a must-visit blog. Earth911 wants to push people into a more environmentally friendly lifestyle , “one that protects this wonderful planet we all call home”. Back in 2010 in New York, a group of bloggers at Energy Curtailment Specialists decided to start this blog to share their views regarding the energy industry. This blog is very visually appealing and you will find a mix of stories, news and events in the energy industry. Have a look at their very nice infographics! If you are the type of person that loves reading about healthy lifestyle and green living, this is the place to be. Life The Greenway is Birmingham's first green lifestyle blog and provides interesting product reviews and thousands of articles about green living. In addition, this blog is also the proud sponsor of Green Drinks Birmingham, the local chapter of this big international green social networking organization. Green gossip, this is worth a visit! Ecorazzi started in 2006 as a creative way to make the world a better place. This blog quotes from charitable organizations to celebrities to show their efforts on humanitarian issues and environmental contributions. Among other awards, Ecorazzi won the 2009 Best of Green Award by TreeHugger. Are you a social entrepreneur trying to solve the world’s biggest problems? Echoing Green started in 1987, and since then has helped hundreds of social entrepreneurs to succeed in their respective social enterprises throughout the world. Echoing Green supports social entrepreneurs at an international level, helping them extend their networks and providing them funding and customized support services. Are you an environmentalist looking for interesting and creative tips and ideas? Celebrate Green is a showcase of inspiration and tips for celebrating every day and every special occasion you could imagine. The tips and ideas range from food and recipes to personal care, animals, and many other things that will definitely inspire you. Lyn and Corey, founders of this blog, are also the authors of the book Celebrate Green! Are you an off-gridder struggling to meet others like you? Off-grid.net gets over 75,000 visitors a month, from the US, UK and more. They provide daily news stories and a popular forum where many off-gridders can exchange their experiences. Check the site to get practical advice and hundred tips that will help you with your sustainable lifestyle. This luxury hotel really sets the standards in sustainability. At Green House Hotel you can expect the water to be heated by the sun, food in the restaurant to be sourced from local suppliers, laundry to be washed with organic soap and their company car to run on used cooking oil from the kitchen. Located in Bournemouth, England, this smart seaside hotel has received several recognitions. Cheers from us as well! This site provides you with a carefully selected range of eco friendly products. Search any of their many categories like energy saving, eco gifts, home & garden, office & school, solar & travel, eco Xmas, and more! Their aim is to make it easier for people to have access to natural and eco friendly products. Find here ideas, information and inspiration for a more sustainable lifestyle. This guys have definitely succeeded in being creative in the task of getting wider engagement towards energy saving. The Energy Hog wastes energy at home, at work and in schools, costing the society a lot of money. If you want to stop them and attract more people to your energy saving ideas, energyhog.org is here to help. They provide the right resources and games to bust the energy hogs. Thinking of green holidays but don’t know where to start your search? Greentraveller.co.uk portrays numerous eco-friendly places to stay and green guides that will help you find your right holiday option. Apart from eco-friendly accommodation and transport, they also suggest a wide list of things to do in each place. Neil Palmer and Lance Pigott started their business in 1986 with the help of 'The Enterprise Allowance Scheme', which gave some funding to young entrepreneurs. What once started as selling organic wine today has developed into a successful company that provides organic wine, beer, ciders, spirits and more. They team has also multiplied, today they are more than 15! The Green Stationery Company helps businesses being more environmentally friendly by providing them with products and stationery that are either recycled or more environmentally friendly than ordinary stationery. With their wide range of products they aim at low-impact offices that undergo sustainable business practices. With more than 4,500 natural and organic products on offer, Big Green Smile is one of the biggest online retailers of natural and organic products in the UK. Their products vary from baby food to make-up and beauty products, which are guaranteed as being environmentally friendly. Check their online catalogue and join the environmentally friendly lifestyle. “Positive products for a positive future” is EcoHip's driver of success. They offer a wide range of the best natural products available in the market, targeting consumers that pursue a healthier lifestyle. They help people maintain a chemical-free home, body and spirit. Check their offer for pest control, hair care, flowers, books, gifts and many more! Green Tree started in Scotland in 2009, and has been expanding ever since. Green Tree is a wholesale supplier of carefully considered products which are gentle both for people and the environment. They focus on recycled products, natural ingredients, and fair trade. They also provide a little section of products that are educational in nature and encourage an interest in wildlife and the environment. Green Oil started in Kent, and has quickly expanded to Clapham, London and Wales, where most of the Green Oil is produced. All Green Oil products are made from plant based and sustainably sourced ingredients. Opposite to other oil products, Green Oils don’t use petrochemicals. Information about recycling and sustainability is clearly stated on each product. Either you are looking for a green job or are interested in posting a job in this field, earthworks-jobs is here to help. They collect hundreds of jobs related with the environment and the planet which will save you many hours of research. Choose your favourite category and find the job post that best suits your needs. For more than 21 years, Green Books has been publishing books about environmental and cultural issues. This independent UK publishing company has been growing fast and their site now provides more than 15 categories of books. They help green retailers like health food shops publish their books. Eco2life products are inspired by an Australian idea that is 15 years old: “To create an environmentally sustainable cleaning system using ingredients derived from corn, sugar cane, coconut, vegetables and citric acids”. Eco2life has spread this same philosophy in the UK and in the rest of Europe, by offering a diverse range of products that are environmentally friendly but at the same time very effective for cleaning. Check all their products in their online catalogue! Ecocentric will prove you wrong if you thought design and environmentally friendly practices do not match. Their goal is to offer products that are at the same time beautiful, ethical, and eco friendly. This match is what they call eco design. They support designers and local producers which have eco-credentials in mind, helping this tendency grow. Since 1994, Green Light Products has been supplying innovative packaging products that are biodegradable, compostable, recyclable and reusable, “all at a price that makes decision making easy”. All products are produced in house, in Cardiff, but they sell their products all over the world. Funded by the former U.S.Vice President , Al Gore, The Climate Reality project is aiming at educating the public and creating a collective voice related to climate change. Since 2010, the organisation trained over 6000 people in 100 countries as volunteers and Climate Reality Leaders. Each year, The Climate Reality Project hosts 24 Hours of Reality. The live global event is broadcasted over the internet and and features 24 world leaders, scientists and cultural icons and topics that affect climate change. With over 2 million members and supporters from all around the globe, this is the world’s largest environmental network. They strive for a more environmentally sustainable planet and for achieving socially just societies. Their site is very complete and visually appealing, with news, useful resources and very interesting descriptions of the projects they are and having been working on. Welcome to the demonstration centre for sustainability located in Wales! Founded in 1973, the Centre for Alternative Technology covers all aspect of “green” living : renewables, sustainable construction , organic growing and eco-sanitation. CAT also runs graduate programmes and courses in renewable energy, sustainability and environmental studies. What really got our attention is the visitor centre that draws over 70,000 visitors a year. Through interactive display, you can learn more about sustainable solutions and see the largest range of renewable systems in operation. Did we mention they also have an eco-shop? Earth Champions is a foundation that does things a little different. They are looking to reward the people who are contributing to a sustainable planet and recognize their work. “Earth Champions” are nominated by the community and inspire through their work whether this means growing organic food, create energy efficient buildings or protect and save wildlife and habitat. Communities are then encouraged to adopt the best practices led by “Earth Champions”. You can make nominations under 8 categories on their site. Earth Trust is a British environmental learning organisation. They encourage and support local, healthy food production and consumption, tree health improvement and land management. Earth trust owns and manages almost 500 hectares of land which they use for farming, cattle grazing and even growing miscanthus to fuel their heating system. You can throw your green birthday party with them, learn how to survive in the wild, bushcrafting or rural countryside skills. Can we achieve 100% renewable energy? That is what project GO 100% is all about. They mapped the 100% renewable projects on the globe with details, giving inspiration and proof that yes, this can be achieved. Visit their website to read about the communities and regions who are employing renewables. By taking this all or nothing approach, go 100% is catalyzing the community and helping developing best practices. Go 100% is a project of the Renewables 100 Policy Institute. Since 1993, Global Action Plan has facilitated behaviour change programmes that target businesses, schools and communities. United Nations backs their work and so far GAP has reached 4 million people. Projects we like: One in 5 Challenge ( supporting companies in reducing their business flights with 20%), and Catalyst (for the young unemployed, GAP has a training programme in behaviour change campaigns with an opportunity for 1 year company placement). The Ethical Consumer is a Not for Profit based in Manchester, UK. Their aims are to create more sustainability in business through consumer education. On their website you can find complete guides for over 40,000 companies, brands and products. Find out about the issues related to the products on the market : pollution and toxins, workers rights violations, fairtrade, energy efficiency and more. Founded by a British farmer in 1967, Compassion in World Farming fights against factory farming and all its repercussions: environmental damage, food insecurity, animal cruelty. Enjoying increased support, CWF has become a global movement influencing decision makers. Their “Investigation Unit” has uncovered several abuses made in the food industry. It is estimated that 80% of animals grown in the EU are factory farmed. Headquartered in Manchester, this niche charity is fighting negative environmental impact by campaigning for eliminating litter. Teamed up with local authorities, Keep Britain Tidy has launched successful programmes and campaigns. To mention a few: Big Tidy Up ( engaging more than half a million people), Eco-schools (running in over 17,000 schools), the prestigious Blue Flag Award (quality mark for the beaches) and the Big Scoop ( targeted at dog owners). Through innovative campaigning, the charity enjoys huge support from the local community.